home / Multimedia / The Holy Land in news / Back to school in Bethlehem! Back to school in Bethlehem! 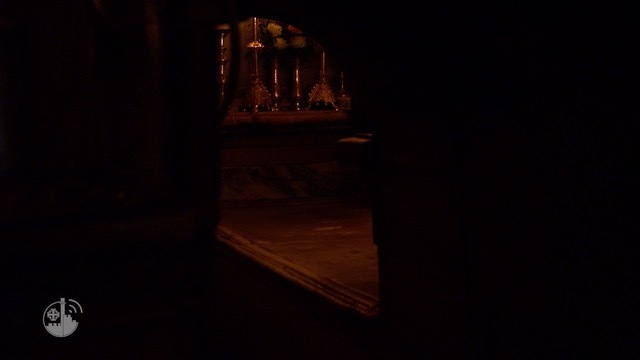 Also in Bethlehem the school year has begun, with important news for two historic institutions of the Custody of the Holy Land thanks to the generous contribution of the ONLUS “Frate Allegra of the Friars Minor of Sicily” in collaboration with ATS pro Terra Sancta. 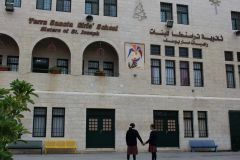 The first –Terra Sancta Boys School– is a boys’ college that was founded by the Franciscan friars at the end of the 16th century and which this year hosts 1183 students from kindergarten to maturity, the very celebrated Tawjihi. 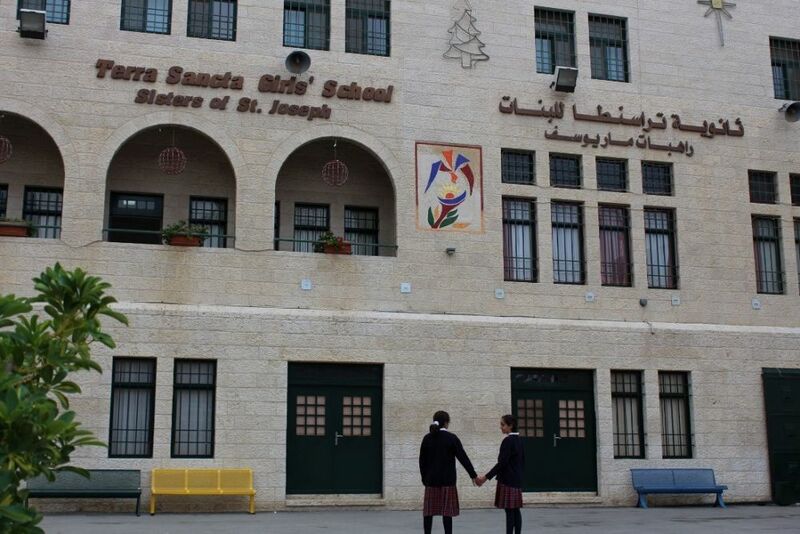 Instead the second – Terra Sancta Girls School – is an institution for girls, founded by the Sisters of St. Joseph in the mid-nineteenth century, which currently houses about 800 girls and plays a central role in the arduous task of promoting the role and presence of women within the Bethlehem community. It is good to remember that education has always held a fundamental importance for Palestinian families, as evidenced by the high rate of literacy compared to other Middle Eastern countries. However, as a consequence of the precarious political and socio-economic situation, the government education system is in crisis, marked by the lack of suitable infrastructures and adequately trained teachers, by dated teaching methods and difficulty in accessing peripheral and marginalized categories. Therefore, by virtue of the excellent level of acknowledged preparation and the presence of distance support programs, over 2000 children are enrolled at the Terra Sancta College for girls and boys, both Christian -latin and Orthodox- and Muslims, an excellent example of effective coexistence. ATS pro Terra Sancta is pleased and very grateful to communicate that thanks to the support of the ONLUS “Frate Gabriele Allegra of the Friars Minor of Sicily” the construction of a basketball court for Terra Sancta Boys School has been completed for this new year. , a large open space for students to enjoy during intermission and installation at the Institute of the Sisters of St. Joseph of a new solar water collection and heating system: the school is located in the old city of Bethlehem, which is heavily affected by the water issue (as reported in a previous article) and 10 new white plastic cans and a state-of-the-art solar panel system were installed to deal with it. water heating. Taking care of the schools means taking care of the young, the future of this country, and helping them to cultivate hope.